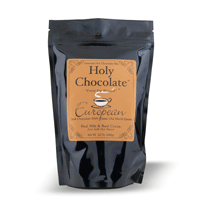 Imagine sitting at a street cafe in some enchanted European city sipping the best hot chocolate you ever tasted. 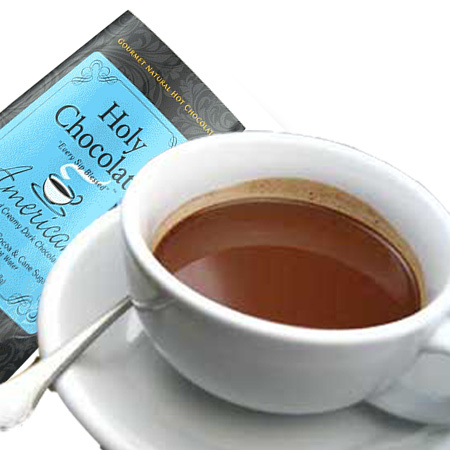 The incredible aroma of chocolate and spices fills your nose while the velvety milk and strong cocoa fill your pallet. That's where you'll be with the European Style. This cocoa is my masterpiece! 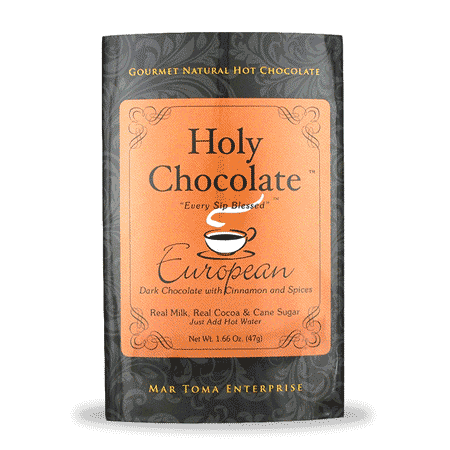 Strong chocolate with an exotic blend of cinnamon, nutmeg, and six other spices. 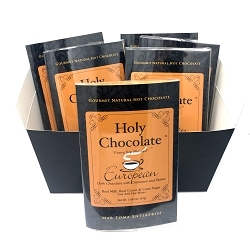 This is my recommendation for the serious chocolate gourmand because it has so much body and spectrum to the flavor that one can really taste a lot of aspects of the chocolate that normally wouldn't arrive on the pallet. Even jaded chocolate professionals get surprised by this. 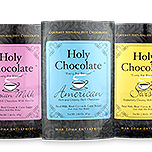 It is a kind of resurrection of chocolate. Finally, it was during an economic downturn and people were moving away with their jobs. 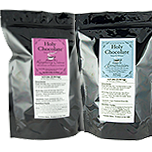 I said, “Now I don’t even know what I’m going to do”, and the women shrieked, “Sell the chocolate!”. 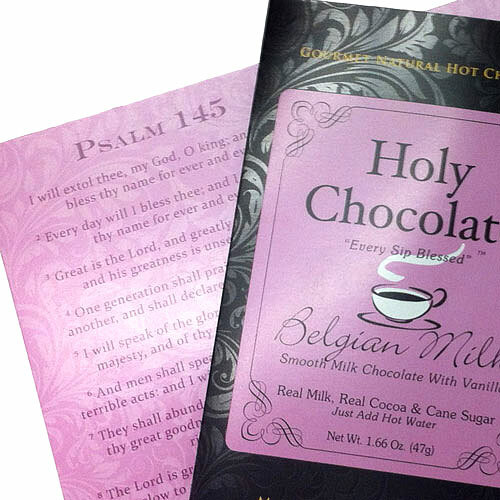 Well “out of the mouths of babes” came Holy Chocolate.